Thousands are expected to gather for ANZAC Day services in Geraldton. Thousands of community members will gather to pay their respects to those who fought for our country at ANZAC Day Services in Geraldton. The City of Greater Geraldton in conjunction with the Geraldton RSL Sub-Branch, will hold ANZAC Day Services at Birdwood House on Thursday 25 April. ANZAC Day commemorations will kick off with the Dawn Service at 6.00am, followed by the Main Service at 11.00am. City of Greater Geraldton Mayor Shane Van Styn said the services were always extremely moving and encouraged the community to pay their respects. “ANZAC Day is a time of national significance, when we pay our respects to those who made the ultimate sacrifice for our freedom,” he said. A wreath laying ceremony will be part of the ANZAC Day proceedings, as well as a march from Foreshore Drive, along Forrest Street to Birdwood House on Chapman Road. Community members are encouraged to gather along Foreshore Drive to Forrest Street and acknowledge the marchers. Road closures along Chapman Road, Foreshore Drive, Durlacher Street and Forrest Street will be in place during the Dawn Service and Main Service. Motorists and pedestrians are advised to obey all warning signs. An ANZAC Day Service will also be held in Mullewa at the War Memorial on Maitland Road at 10.00am. It will be followed by a morning tea in the Lesser Hall. 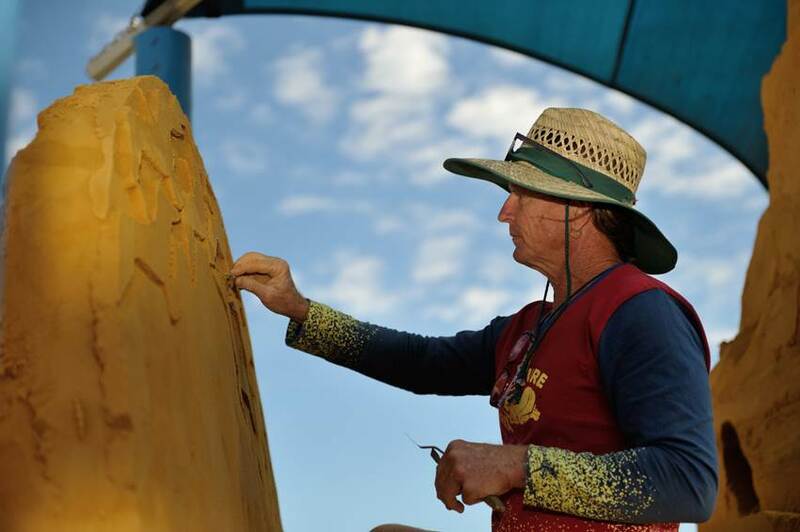 Sand sculpting legend Tim Darby will return to Geraldton for the Wind on Water Festival this weekend. Sand sculpting legend Tim Darby will return to Geraldton this weekend for the Wind on Water Festival (WoW Fest) and is set to recreate one of the region’s icons out of a mound of sand. Festival goers will also be able learn tips and tricks from Mr Darby at a number of workshops thanks to the sponsorship of Iluka Resources. City of Greater Geraldton Mayor Shane Van Styn said the community was captivated with last year’s creation. “Tim did an amazing job of producing the Point Moore Lighthouse and the HMAS Sydney II Memorial at last year’s WoW Fest and we can’t wait to see what he creates this weekend,” he said. “Those attending this weekend’s festivities will also be able to participate in a number of free workshops as well as a masterclass. The sand sculpture and workshops will be taking place near Dome Café on the Geraldton Foreshore on the Saturday from 10am – 12pm in the morning and 1pm – 3pm in the afternoon. Those wanting to take their skills to the next level can take part in the masterclass on Sunday from 10am – 12pm. The City of Greater Geraldton would like to thank Iluka Resources for their support of this exciting element. WoW Fest will take place on Saturday 20 and Sunday 21 April on the Geraldton Foreshore. The RedFM WoW Fest Concert will conclude the event on Sunday 21 April with headline acts The Temper Trap and Tkay Maidza. Are you looking for a sport for your child aged 2-16? Does your child love to flip, jump or hang from everything? Look no further as Geraldton Gymnastics Club offers a variety of classes in a fun and safe environment lead by fully qualified coaches. Classes are focused around improving fitness, strength and flexibility while growing passionate, strong & independent students. 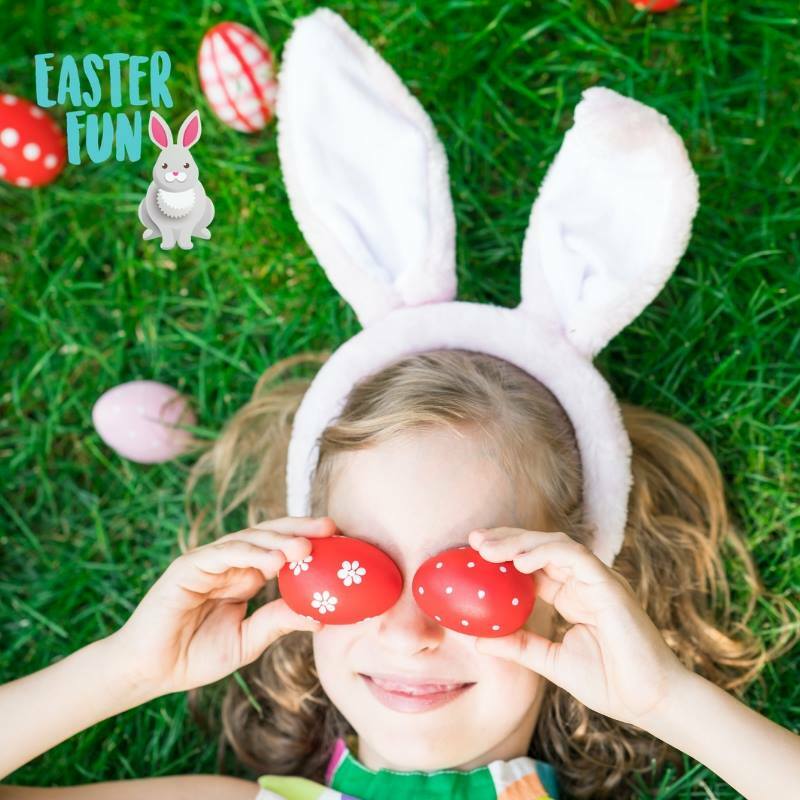 Bring the kids down to Seacrest Shopping Centre this Saturday, April 13 from 10am to 1pm to say hi to the Easter Bunny and collect a FREE Easter giveaway for the kids. It’s a great chance to catch up with a friend while the kids are kept busy, and you can take a look at some of the specialty stores while you're there. Seacrest Shopping Centre is your neighbourhood shopping centre featuring Woolworths, specialty stores and eateries, with plenty of convenient parking. Check out https://www.facebook.com/SeacrestShoppingCentre for more information. “It is fantastic to see that many of the students who have graduated with their Diploma are currently employed in the region in the industry they’ve studied, and others have used their qualification as a pathway for further study” Mr Swetman said. “The support by the local community in the Midwest has always been strong and we are proud of this fact. We thank our sponsors and industry partners for not only their support for the awards but also for their ongoing commitment to the future success of vocational education and training in our region” he said. “I’ve had other successful careers but nothing with a formal qualification. 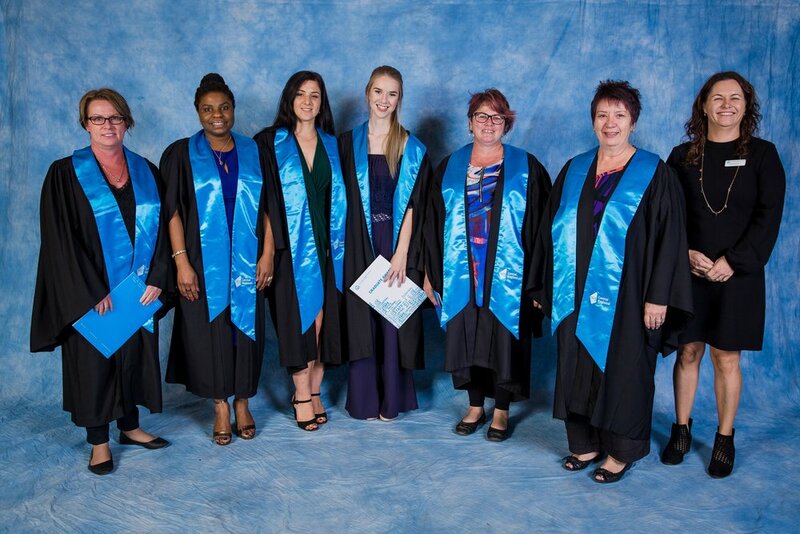 TAFE has given me a qualification (Diploma of Nursing) and at age 50, I look forward to being able to make a difference in people’s lives during the remaining years of my own working life” she said. 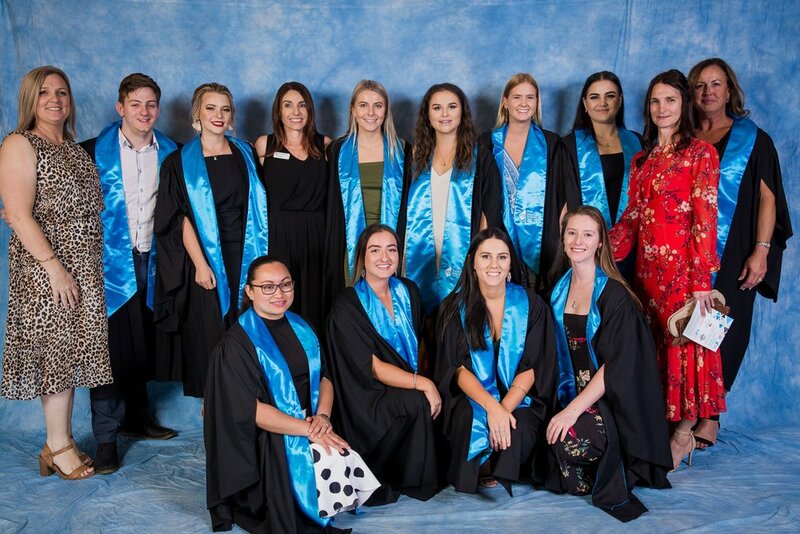 All graduates and award nominees were able to enjoy delicious refreshments, prepared and served by CRTAFE’s Commercial Cookery and Hospitality students, whilst networking with guests from local industry and the community. Western Rock Lobster is pleased to announce it has awarded ten $3,000 bursaries to attend the 2019 Trans-Tasman Rock Lobster Congress in Queenstown, New Zealand. The bursaries provide professional development for future leaders of the Western rock lobster Industry and target skippers and crew members who are actively engaged in fishing operations. CEO Matt Taylor said he was encouraged by the many strong, diverse and passionate applications received and commended all applicants on their desire to further build their capacity, knowledge and networks within the industry. 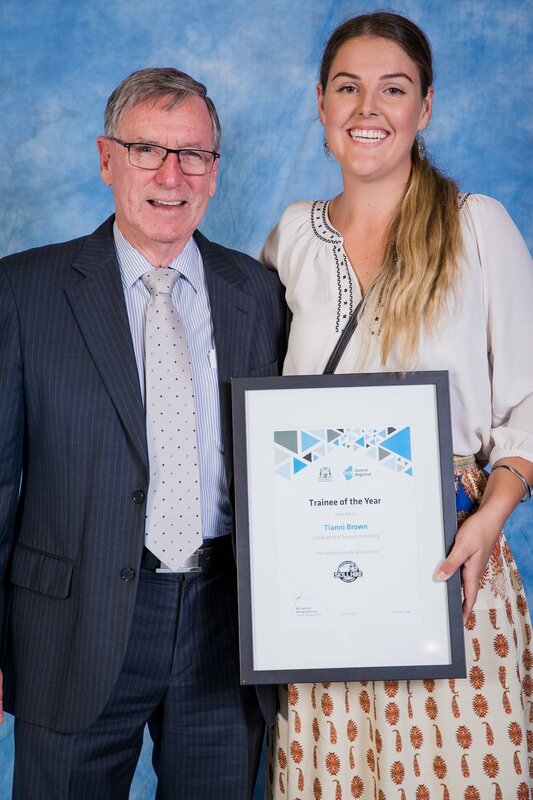 “The bursary applications illustrate our young fishers’ strong industry ambitions, drive and commitment so we are excited to be able to assist them with capacity building and professional development to help deliver benefits and security to both them personally and our industry in to the future,” he said. WRL will continue to provide bursaries so those who missed out this time around will have further opportunities to get involved in the future. “WRL is committed to engaging with future leaders and building industry leadership development so we will continue to provide opportunities in the future to assist with capacity building and professional development,” Mr Taylor said. In October 2018, WRL held its first DECK Program which aims to build capacity within the industry. Mr Taylor said the DECK Program provides professional development opportunities for participants to build their industry knowledge, skills, capability and networks to continually improve their fishing operations and business management. Congratulations to Kurt Glass, Chris Williams, Lance Dawe, Michael Butcher, Eddie Fernandes, James Camarda, Radley Woodcock, Stephen Minutillo, Frank Rodriguez and Ashley Cole on their successful bursary applications. 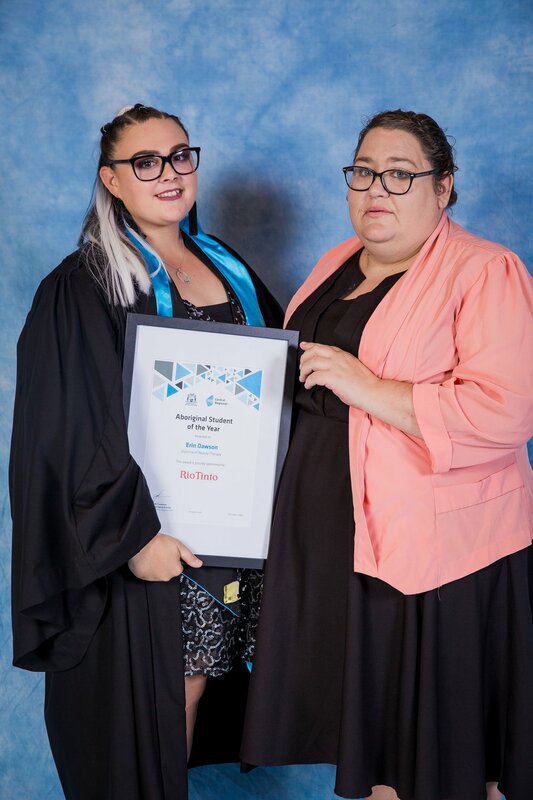 We look forward to working with the bursary winners further and helping grow the positive impact our young future leaders will have on our State’s iconic Western rock lobster industry. The bursaries have been funded by WRL through its Industry Partnership Agreement with the Fisheries Research and Development Corporation (FRDC). The community is being urged to use the blue plastic recycling bins properly. The bin was located in the carpark at the Drummond Cove Hall but has now been moved to Bayside Park in Drummond Cove. City of Greater Geraldton Mayor Shane Van Styn said it was disappointing that the community were not respecting the bins. “It’s such a shame that we are having to empty a lot of these bins straight into landfill when we are trying to promote recycling and sustainability,” he said. The blue recycle bin located at Waggrakine Primary School is also being continually contaminated and will be moved if contamination persists. A total of 15 bins are located around Geraldton and are for the purpose of recycling type 1 and 2 plastics only. To identify what plastics are type 1 and 2, look for the symbol on the item. Plastics include soft drink, juice and water bottles as well as common white or coloured plastic such as milk containers and shampoo bottles. People are also reminded to remove bottle lids and rinse the bottles out before recycling. 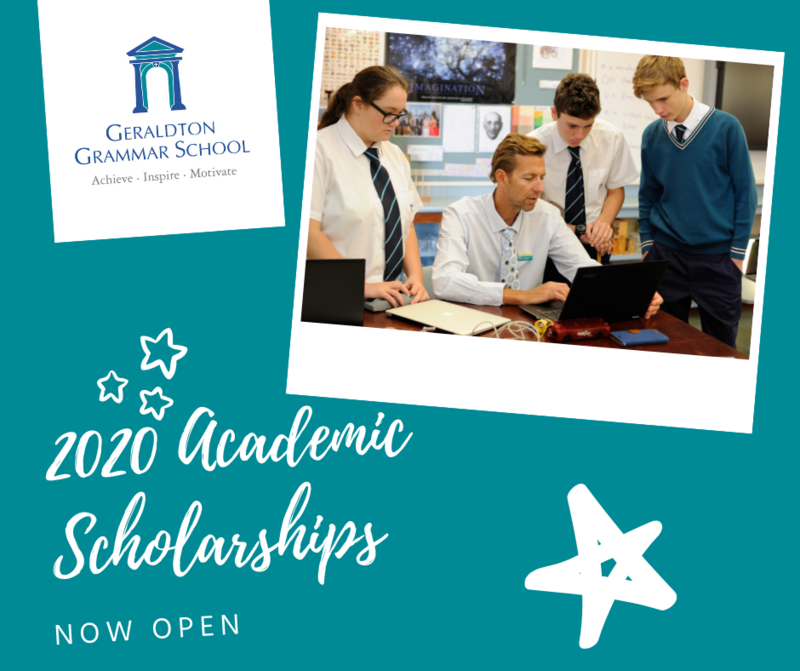 Scholarships available for 2020 are now open. The closing date is 1 May 2019 and the tests will take place in the Geraldton Grammar library on the 11 May. There are three levels of exams; level 1 for students starting year 7 in 2020, level 2 for those students starting year 9 in 2020 and level 3 for those students starting year 11 in 2020. 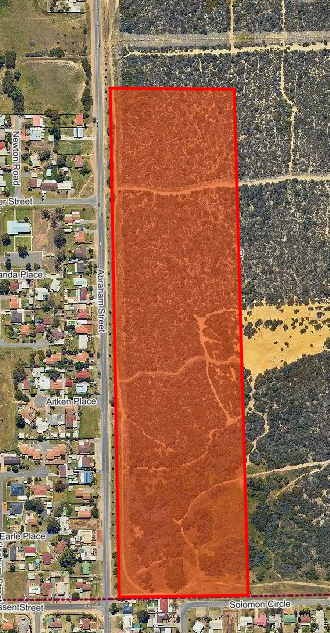 The City of Greater Geraldton wishes to advise it will be undertaking a prescribed burn in Utakarra on bushland east of Abraham Street between the Geraldton Cemetery and Solomon Circle. It will take place on Wednesday 3 April 2019 commencing at approximately 9.30am. This burn will only proceed with favourable weather conditions. If the weather is not favourable, the burn will be postponed until further notice. The Waggrakine, Cape Burney and Moonyoonooka Volunteer Bush Fire Brigades as well as the DFES Midwest/Gascoyne Mitigation Team will be on site to control the burn rate and extinguish the fire by the end of the day. Smoke from this prescribed burn may affect the surrounding areas. If you have a respiratory condition or are affected by smoke you should contact your local doctor or call Health Direct on 1800 022 222. Prescribed burns are being undertaken by the City to mitigate the severity of bushfires and to help protect lives and property by reducing the build-up of flammable fuel loads. The City apologises for any inconvenience this may cause. If you have any queries please contact the City on (08) 9956 6600 or email council@cgg.wa.gov.au. A giant kinetic sculpture in the form of a colourful lionfish joins the program for this year’s Wind on Water Festival. With thanks to sponsorship from Stirlings Shopping Centre, artists Travis Bullock and Constance Titterton will create the bicycle-powered fish in the shopping centre as well as host workshops based around bikes. City of Greater Geraldton Mayor Shane Van Styn said the community will love contributing to an element that they will also get to see in action. “This is just another amazing element of the Wind on Water Festival,” he said. “Not only can you go and help bring it to life, but thousands will enjoy the sculpture as it makes its way up and down the Foreshore over the Easter long weekend. As well as creating the sculpture, there will be free drop-in workshops. The workshops include helmet art and disc art. Attendees can bring their own bike helmet, and the materials are provided to create your very own fish helmet art. Disc art involves painting bike discs to take home and spruce up your bike. Materials are provided. The workshops will take place at Stirlings Shopping Centre outside Woolworths on Tuesday 16 April to Thursday 18 April from 10am-2pm daily. The kinetic creation will be on display at the WoW Fest on Saturday 20 April and Sunday 21 April. 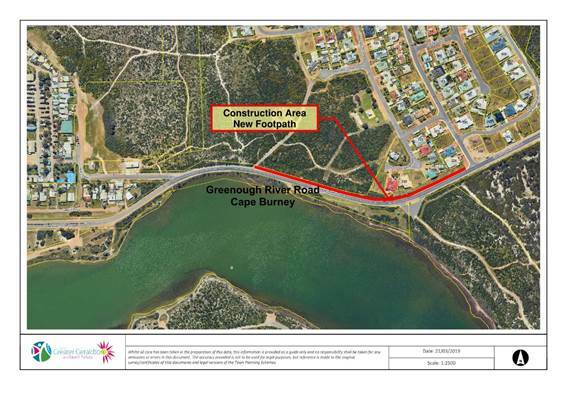 The City of Greater Geraldton wishes to advise it will be constructing a new footpath in Cape Burney at the northern side of Greenough River Road between Hull Street and River Drive. Works are scheduled to commence on Monday 1 April 2019 and will take approximately five weeks to complete. These works are part of the approximate 5000m of new footpaths being constructed this financial year. The anticipated hours of work will be from 7am to 6pm and traffic management will be in place during this time. 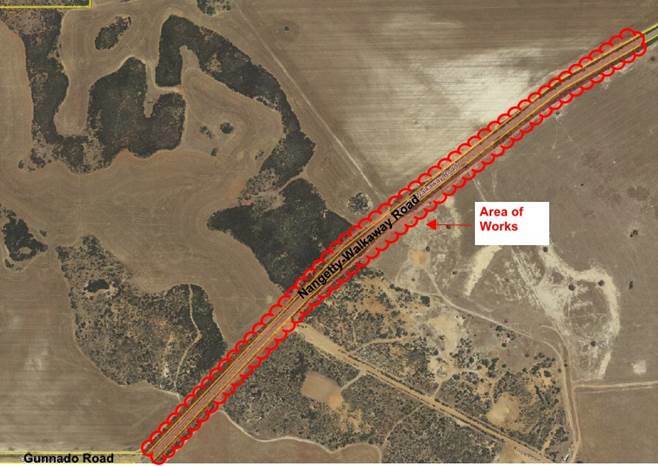 The City of Greater Geraldton wishes to advise road widening and reseal works will be undertaken to part of Nangetty-Walkaway Road, north of Gunnado Road on Monday 1 April 2019 for a period of approximately four weeks. These works are part of the $3,965,000 allocated in the 2018/19 Budget for road renewals and are 66 percent grant funded from the Regional Road Group Scheme. The anticipated hours of work will be from 7am to 6pm, with traffic management in place during this time. Members of the community are requested to exercise caution and obey all warning signs and directions from authorised City personnel and contractors. The City apologises for any inconvenience these works may cause. Louise Paramor is bringing her exhibition Divine Assembly to Geraldton. 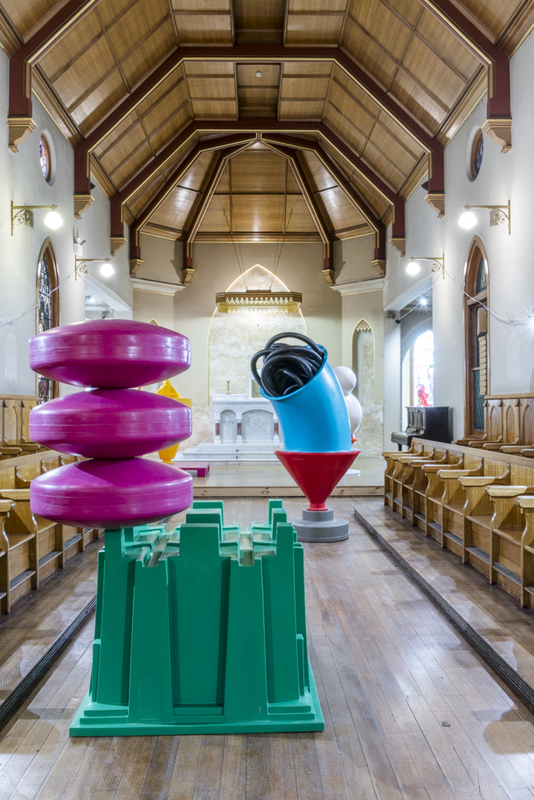 Featuring colourful plastic assemblages and collages, internationally renowned Australian artist Louise Paramor is bringing her exhibition Divine Assembly to Geraldton. Well known for her large-scale public art commissions, which often combine formal concerns with a pop-inspired sensibility, the claimed exhibition will be on display at Geraldton Regional Art Gallery. City of Greater Geraldton Mayor Shane Van Styn said many people would be able to relate to the pieces. “The colours and scale of Louise’s work present a playful exhibition which will appeal to people of all ages,” he said. Louise has regularly exhibited her work nationally and internationally since 1988, and has been awarded several grants and international residencies including an Australia Council Fellowship at the Künstlerhaus Bethanien, Berlin, 1999-2000. In 2010 she won the prestigious McClelland Sculpture Survey and Award with her piece Top Shelf. The collection of raw material alone is impressive, with acquisitions from mining operations, plastic moulding companies and furniture production forming sculptures up to 6ft tall. With an exceptional knack for selecting objects that were once functional, Louise has created a unique series by stripping away practical context and arranging objects together to create fantastical apparatuses. The deliberate compositions of industrial scale also combines the art of plastic recycling, fitting in perfectly with the increasingly environmentally-conscious community. The official opening for Divine Assembly will take place at the Geraldton Regional Art Gallery on Friday 5 April from 6pm. The exhibition will be on display until 26 May 2019. For more information, head to artgallery.cgg.wa.gov.au or contact the Gallery on 9956 6750. Family Violence is a significant social issue in our community. It is preventable. With collaborative community action we can make a difference. The Launch will showcase local businesses and organisations that have decided to say #ViolenceIsNEVEROk by signing the Agreement for Businesses and Organisations and committing to do what they can to prevent family violence. The event will start with a morning tea catered by Taste Buds, followed by key speakers from local organisations discussing why preventing family violence is important to them and why signing up is just good business. New shared cycle paths along the NWCH will connect to existing paths in the Chapman River Regional Park. 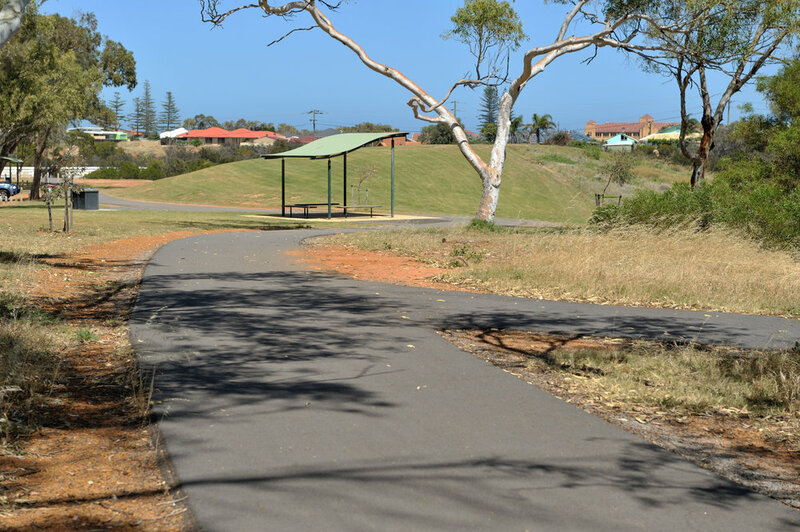 The City has successfully secured State Government funding to construct cycle paths along the North West Coastal Highway to improve cycle and pedestrian access to the Chapman River Regional Park. City of Greater Geraldton Mayor Shane Van Styn said providing safe access to the recently completed mountain bike facilities in the Chapman River Regional Park for people who live on the east side of the highway is paramount. “Since the completion of the jump and pump track and skills track at Spalding Park and the formalisation of the mountain bike trail in the Chapman River Regional Park the number of people visiting the area in the last six months has dramatically increased,” he said. The Department of Transport’s (DoT) Western Australian Bicycle Network Grants Program will fund 50% of the $230,000 design and construction costs of an off-road shared cycle path to connect Splading to the asphalt cycle paths located on the west side of the highway. The City has also secured funding from the DoT Safe Active Streets Program to undertake the design and consultation of an off-road shared path on the west side of the NWCH linking Spalding Park to Green Street and includes the transformation of Railway Street into a Safe Active Street for cyclists. The Safe Active Streets Program delivers cycle routes on quiet local streets, where speeds have been reduced to 30km/h to allow people in cars and on bikes to share the street safely. This will be a pilot program for the regions and is fully funded by DoT. Both the shared cycle paths on the east and west sides of the NWCH were identified as a secondary network routes in the Geraldton 2050 Cycling Strategy. Both projects will be completed in 2019/20 financial year. Kart drivers, BMX riders and soccer players are one-step closer to training and competing at improved sporting facilities after Council approved applications to improve club infrastructure via the State Government’s Community Sporting & Recreation Facilities Fund (CSRFF). The Midwest Kart Club’s application for $42,305 to renew the surface of their racing track along with applications for $20,973 and $25,300 to replace the existing metal halide flood light luminaries with energy efficient LEDS at Woorree Park BMX track and the Eighth Street West soccer grounds respectively now await the Department of Local Government, Sport and Cultural Industries approval under the CSRFF funding scheme. City of Greater Geraldton Mayor Shane Van Styn said the Department of Local Government, Sport and Cultural Industries CSRFF assists sporting clubs to develop and improve their infrastructure. “The CSRFF funding program is open to all sporting clubs who want to increase participation their particular sport or recreation by providing quality facilities that are sustainable,” he said. “Council is always keen to support clubs who work hard to raise one-third of the funds needed to make improvements to their facilities which ultimately benefits the community. CSRFF grants are offered as one-third funding contributions from the Department of Local Government, Sport and Cultural Industries. The remaining two-thirds of project costs are equally shared by the applicant and the City.